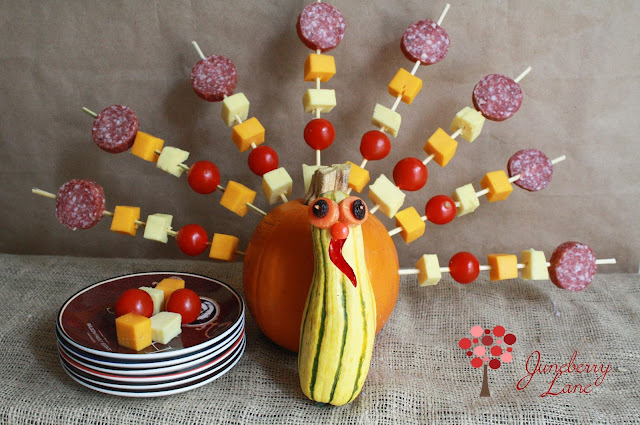 Juneberry Lane: Tutorial Tuesday: An Appetizer Pumpkin Turkey . 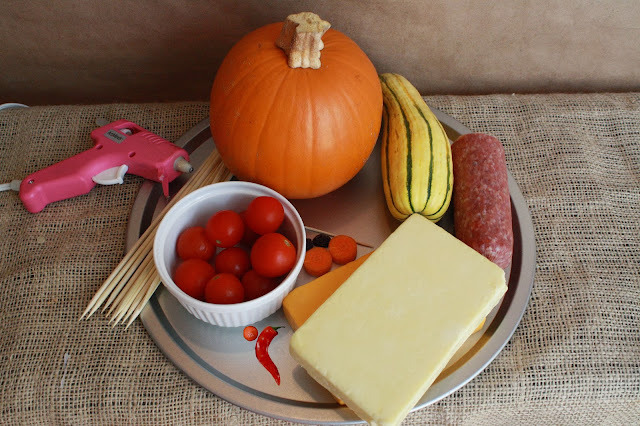 . .
Tutorial Tuesday: An Appetizer Pumpkin Turkey . . .
Oh my word, can you believe next week is Thanksgiving already? Time sure has been flying!! This week over here at Juneberry Lane, we are going to focus on some last minute treats & crafts that will add some real punch to your holiday table, but are quick & budget-friendly too ~ just in case you are feeling the time crunch as much as I am. Today's Turkey treat makes an excellent snack to bring along with you if you are invited over to a friend's or relative's house this Thanksgiving. I never am quite sure what to bring, and while a bottle of wine, candle, or bouquet of flowers always works as an excellent host/hostess gift, this extra special edible project is sure to be unforgettable! What's more, it is quick & simple too! Take a look . . . 1.) 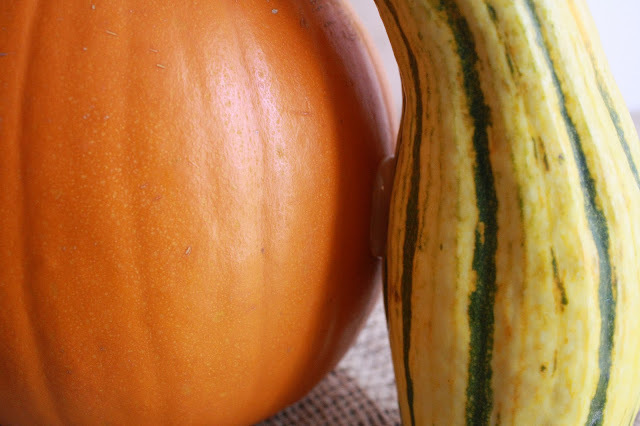 Using your hot glue gun, adhere the squash to the front of your pumpkin, standing it up to make the turkey head. 2.) 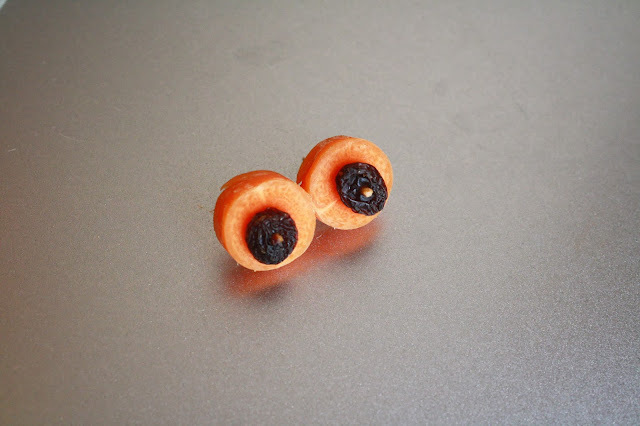 Break your toothpick in half and slide your two carrot slices onto each half. 3.) Place your two raisins on the end of each toothpick half to make the eyes. 5.) 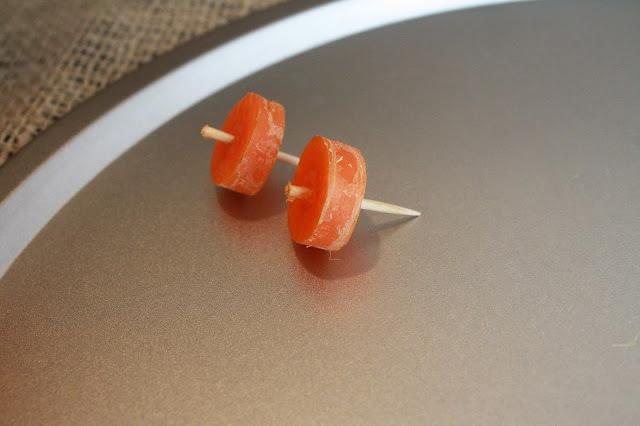 Cut up your assorted cheeses, cherry tomatoes, sausage, and any other snack you would like to add and slide them onto the skewer sticks (see tips below). Insert the pointed edge of your skewer sticks to the back of your turkey to create a fan of snack 'feathers'! ~ make sure your pumpkin is sturdy enough to hold the weight of your snack sticks, so be sure to choose a heavy, larger pumpkin. 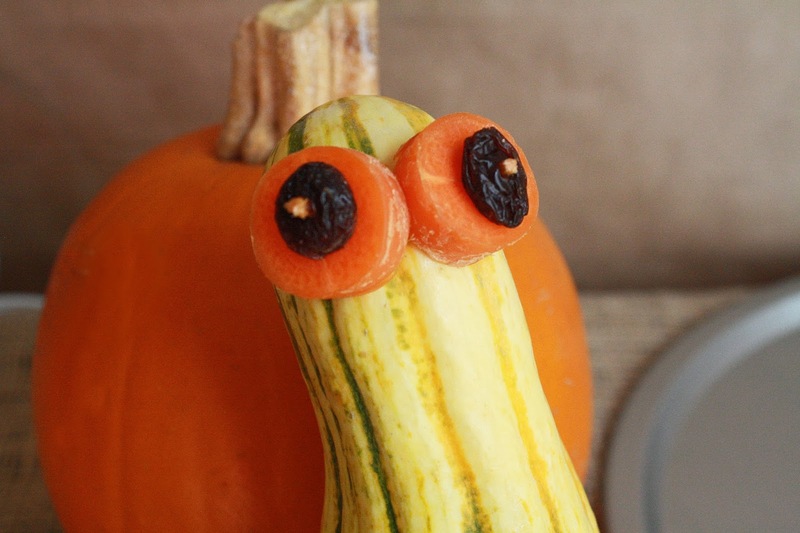 If your pumpkin is too light, your turkey will topple over when the snack sticks are taken off and becomes unbalanced. ~ Insert your skewer sticks ahead of time, and then remove them to add the snacks, making the holes in the pumpkin a little larger to make removing the skewer sticks from the pumpkin and snacking at the party easier. 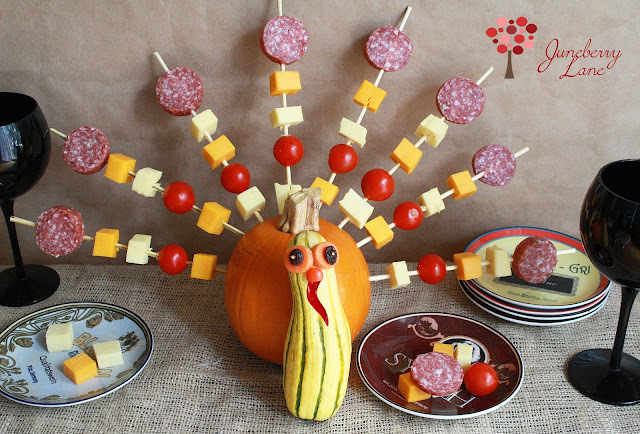 Isn't this guy great ~ such a clever little appetizer to snack on while you wait for the big bird to hit the table! !